Big Red Rooster, a retail innovation company, recently said that as the Millennial generation grows older, businesses need to adjust their campaigns to appeal to this increasingly technology-centric generation and those to follow. According to Pew, the Millennial generation includes those born between 1981 and 2000, currently between the ages of 11 and 30. 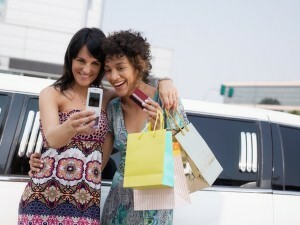 Technology plays a major role in purchase decisions for Millennials. Big Red Rooster found that the generation as a whole is especially savvy when it comes to shopping research on the web, regularly turning to smartphones to search for better prices even when in stores. A well-developed web presence will allow businesses to appeal to these shoppers on the media they regularly access when making buying decisions. Another critical finding that businesses, especially those in the B2C sector, can leverage to attract Millennials is family habits, with 75 percent of the generation living within 30 miles of their parents. According to Big Red, aiming marketing plans at this trend will help promote a brand and foster loyalty. Additionally, budgeting has become the norm for Millennials and remains a trend as they become parents. Web marketing campaigns can play to this need by creating content that highlights discounts or values around the products and services prospects are looking to save money on. Social media marketing campaigns are especially effective when targeting Millennials. Brafton reported in August that 10 percent of this generation makes it a point to check Facebook and other platforms daily. More than half are fans of businesses on Facebook or follow companies on Twitter, which makes them especially likely to see branded social content.